This week, the XVth meeting of the Finnish space research community, also known as FinCOSPAR, was held in Luosto, about 40 km south from Sodankylä. 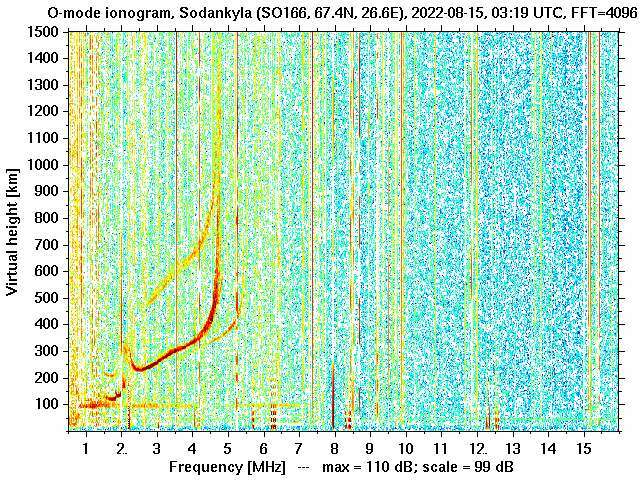 It was organised jointly by Sodankylä Geophysical Observatory, the Finnish Meteorological Institute and the Finnish National Committee. Over 50 scientists attended the event, coming from the main Finnish universities involved in space research (University of Helsinki, Aalto University, University of Oulu) and from several space research institutes (Finnish Meteorological Institute, Finnish Geospatial Research Institute, EISCAT). Two Japanese scientists, Prof. Y. Miyoshi from Nagoya University and Prof. T. Tanimori from Kyoto University, also took part in the meeting and presented their work, giving hope for further collaboration. Motivated and talented Finnish scientists. Unfortunately, the weather did not allow for an outdoor picture. 3. Solar System and Astrophysics. The programme also included a panel discussion regarding the future of space research in Finland, involving speakers from the Academy of Finland, Tekes and the National Space Committee. Thanks to the organising committee for a fruitful meeting! 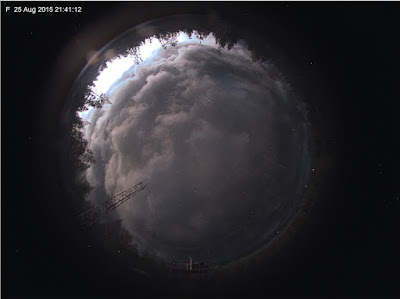 Last night was first observation night with the camera capable to observe the Northern Lights at SGO site station. The observation time is about 4 hours. Instead of the Northern Lights we captured lightning strokes, which is really rare in Sodankylä this time of year when the nights are dark. Past couple weeks has been warmest weeks of the past summer. This ended with cold front travelling over Sodankylä forming heavy thunder shower. The long exposure allowed multiple lightnings in the same frame. The present solar wind conditions provides good change to capture the Northern Lights in the coming night! Other SGO imagers are now in calibration and will be in operation after calibration. Lightning strikes in UCL Colour image at SGO. The first northern lights of the season have been spotted as far north as Sodankylä last night. This has raised the question on when it is dark enough to see them. The northern lights are comparable in brightness to the stars: if you can see the stars, you would see also northern lights, even if the contrast against the bright sky is still very low. In more definite terms, for the night to be dark enough, the Sun should be some 8°–9° below the horizon. For our scientific all-sky cameras, the limit is -10° solar elevation for at least a couple of hours. 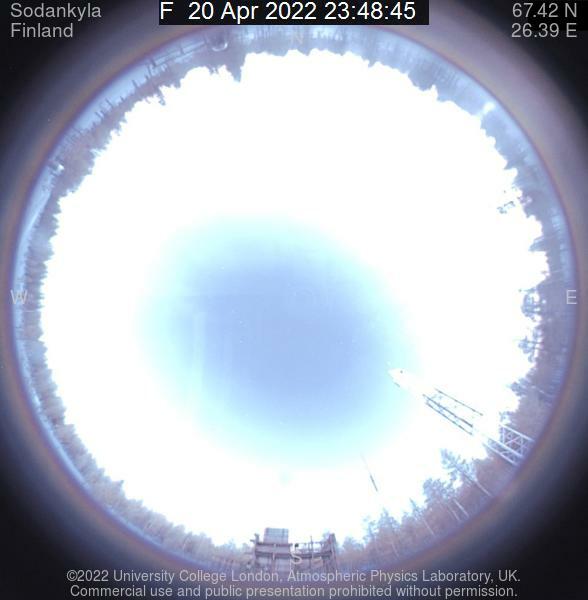 This means that it is turned off in mid-April, and could be deployed in autumn as early as late August, but in practice this depends on operational matters, since all cameras are recalibrated and serviced every autumn, which is a collaborative effort with colleagues from other institutes. In order to give you an idea when the aurora season starts at various latitudes in Finland, we have computed the time of sunrise and sunset as well as the start and end of civil, nautical and astronomical twilight. 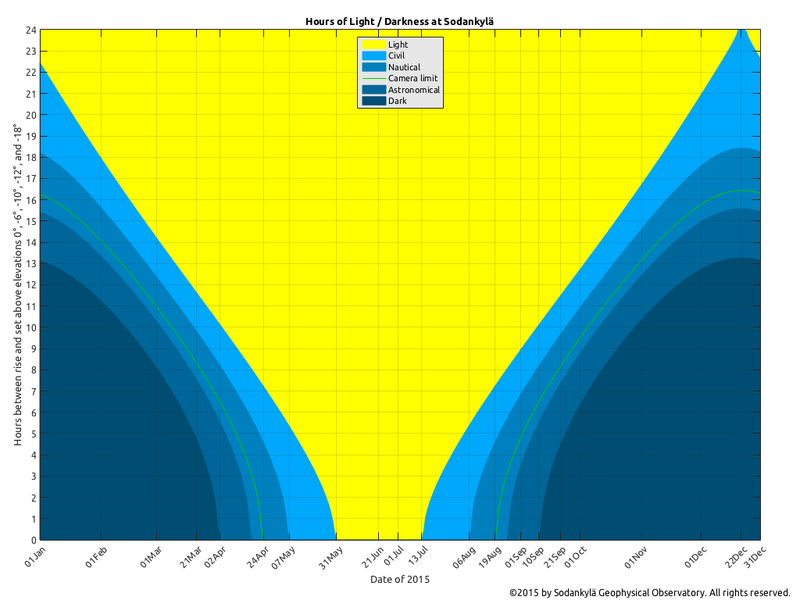 These are plotted below in "length-of-day/night" diagrams (click to enlarge) for the locations of Utsjoki, Sodankylä, Oulu, Jyväskylä, and Helsinki. The green line in those plots refers to the -10° elevation limit of the auroral camera. These diagrams are explained in somewhat more detail in our article about the Polar Day. 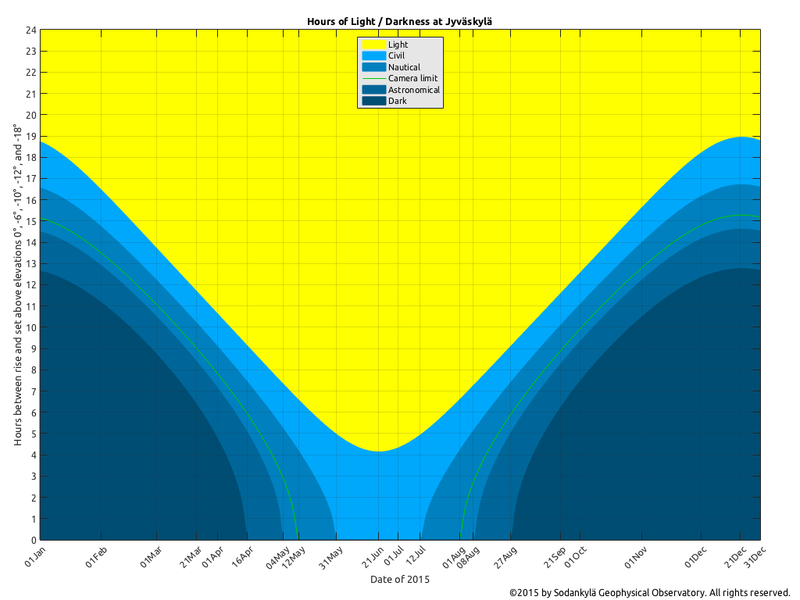 Twilight refers to the time when the Sun is below the horizon, but it is not completely dark. 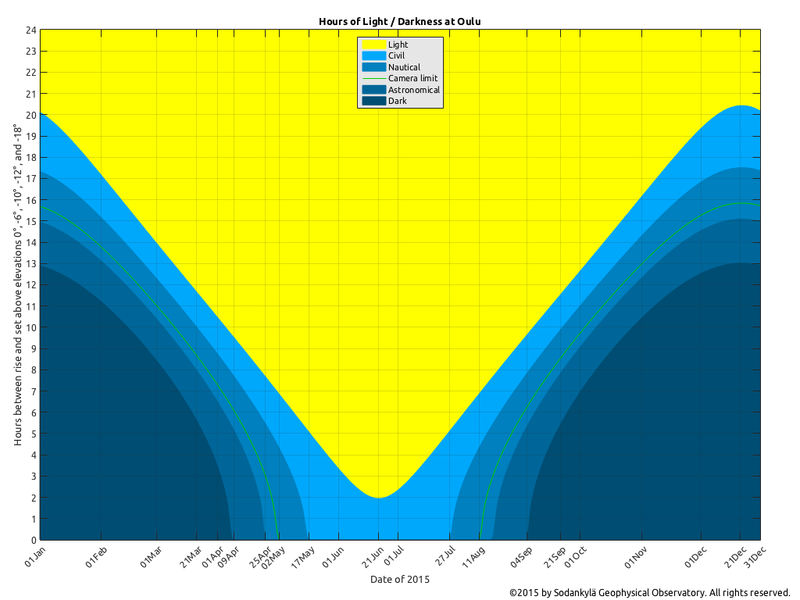 Civil twilight refers to the Sun being between the horizon and -6° elevation. During civil twilight, observations of stars and aurora are possible only using special equipment. When the Sun is between 6° and 12° below the horizon, we speak of nautical twilight, and when the Sun is between 12° and 18° below the horizon we call it astronomical twilight. Once the Sun reaches -18° elevation (18° below horizon) we have complete darkness. Note that this does not happen in Utsjoki before mid-September. But even in Utsjoki, the northern lights season will start in about a week.